Moving tips – how to move easily and simply? You have to recount the boxes nervously at least once before you start transporting them? You try to see whether you packed everything and then look for the missing things? If that’s you, then you will agree that moving is a terrible thing. 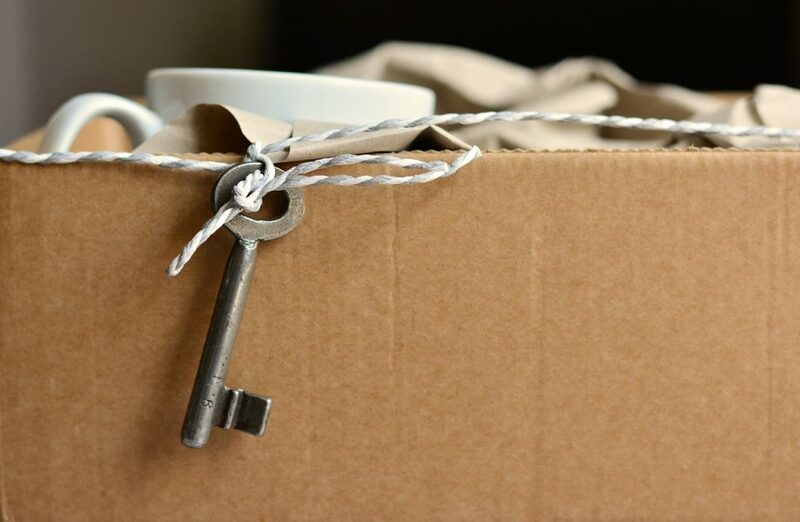 You don’t want to forget anything, especially if you’re moving to your first home. We’ve gathered seven moving tips that can help you transport everything and without losses. Ready? Here are our moving tips! When you are getting ready for your move, start with preparing boxes. More than half the success depends on how well you prepare your stuff. That is one of the most important moving tips. Correct packaging will help you to cope with that task. The right one is solid and of the right size. 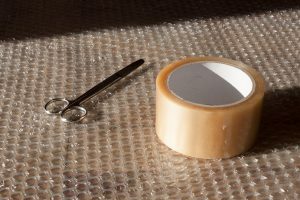 In general, the packaging is all about boxes, bubble wrap, thin stretch wrap and miles of tape. But the usual garbage bags are too thin and do not save from damage. Therefore, if you need a bag, take the stronger one, for example, construction bag. Continue moving preparations by drawing up a plan for packing things. Choose a place or a separate room, in which you will put the folded things so that they do not interfere with collecting the rest. Boxes should not be too large. The weight of each box should not be more than 60 lb. But it is better not to put more than 40 lb in one box. The issue is not only in the convenience of movers, but also in the safety of things. After you pack the boxes, lot of things depend on the movers. When choosing, always look what cars the company offers. If the company has one type of car for all occasions, then you cannot count on speed and quality. To avoid possible misunderstandings, discuss all the details of the forthcoming move, including the cost, with one representative of the transport company. The more contacting persons, the more likely that something will go wrong somewhere. The rule seems obvious, but not everybody follow it. Ask what the loaders can do: for example, can they assemble furniture. Do not hesitate to clarify the warranty and ask for the exact price. Otherwise, you risk negotiating one price, and after unloading, having dissatisfied loaders who require you to add as much. The usual search for the movers can take several days. If you do not want the price of moving to be sky-high, you’ll have to call several companies and compile a comparative table. And it will take time to find true comments about the movers. Pretty useful moving tips are about the packing. To make it easier to move and not lose anything, put things from one room into boxes, which are marked with one color. This will make it easier to find things in your new place. It is best to stick the note on each box indicating what is in it, and make the note on a sheet of colored paper. Attach the sheet, completely covering the surface with adhesive tape. This is time-consuming work, but it’s worth the time. And if you assign a number to each box, then it’s much easier to check whether you unloaded everything. One box should contain the most valuable things and documents. You should take it along with you, not trusting it to anyone. Another box should include a stock of essentials that will be useful in a new location. If you are going late at night and plan to unpack things in the morning, then in the box should be bed linen and toiletries. If you immediately begin to arrange things, put the tools in there. Mark the box with the sign “Ship last, open first”. When moving over long distances, prepare a box with emergency stock. There should be everything that will help to hold out without other things, if the cargo for some reason delays. You should also carry this box with you. Many people forget about these moving tips. And it turns out that there is nowhere to put the boxes, the refrigerator cannot pass. And after unloading the furniture “pleases” with the peeled corners. So, a few days before the move, prepare the room for unpacking your stuff. Measure the height and width of all doorways. If they are too narrow or too low for a load, it may be necessary to call in builders and temporarily remove doors and jambs. In any case, wrap the doors with a polyethylene film, otherwise scratches and chips are inevitable. Using that film and adhesive tape you can protect the corners of the furniture. Try to move the furniture from all the passing rooms and corridors, so it doesn’t interfere with unloading. Make a plan of what and where you will put. If you mark boxes with different colors, mark out these zones in a new apartment. And be sure to clean. Nothing should stand in the way of the movers. Under any circumstances, for a broken vase you should not blame a worker who stumbles over a rag. It is tempting to transport all things in the morning and spend the day unpacking or schedule relocation after work. But at these hours the streets are loaded with transport – you can lose a few hours in traffic jams. 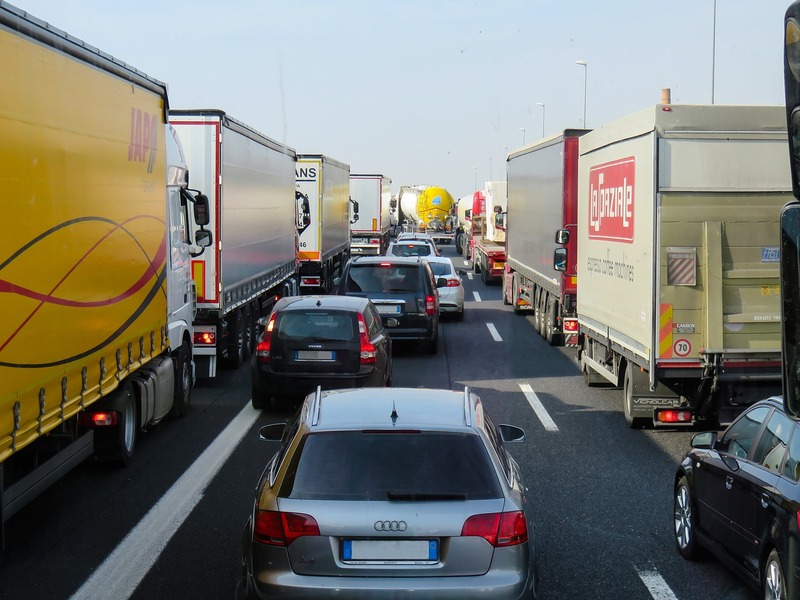 Therefore, order transportation in companies that agree to work early in the morning, before the rush hour, or on weekends. “A friend has a roomy car, and if I put something in my own, then in seven or ten drives I can definitely transport everything” – this is one of the biggest mistakes that you can make. So, here are some moving tips how to handle that like a pro. First, do not try to transport large items and furniture in small cars. Even in a pick-up truck, you do not need to carry a refrigerator and a wardrobe that way. No, they will not come “normally”. You should move household appliances and large-sized furniture by certain standards. Read, for example, about the rules of transportation of a refrigerator and check if the transport company observes all conditions. Secondly, calculate the consumption of gasoline and power for several drives and say goodbye to the savings on the moving company. Third, consider the time and sudden traffic jams. Order a good cargo transport from a reliable company and move everything in one or two drives. It can save you not only money, but also nerves. Well prepare and pack things. Choose a reliable moving company. Pack the most important box with the necessities separately. Prepare the place you are moving to. Order the right transport and move without problems.